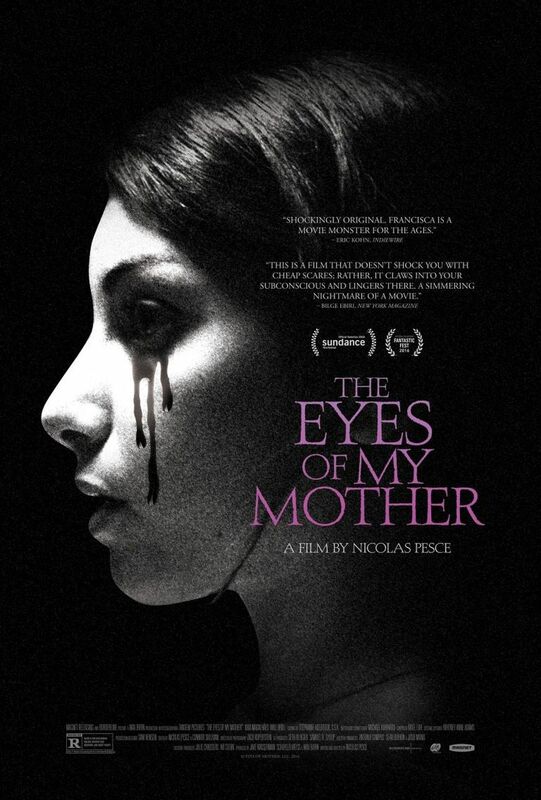 Film-Arcade.net: Official Trailer for the Upcoming Chiller "The Eyes of My Mother"
Official Trailer for the Upcoming Chiller "The Eyes of My Mother"
Magnet Releasing recently released the official trailer for their upcoming release "The Eyes of My Mother". The film stars Kika Magalhães, Will Brill, Flora Diaz, Paul Nazak, Clara Wong, Diana Agostini and Olivia Bond. "The Eyes of My Mother" hits theaters in limited release and VOD on December 2nd. For more information on this film, you can visit the film's official website at: TheEyesOfMyMother.com. In their secluded farmhouse, a mother, formerly a surgeon in Portugal, teaches her daughter, Francisca, to understand anatomy and be unfazed by death. One afternoon, a mysterious visitor shatters the idyll of Francisca's family life, deeply traumatizing the young girl, but also awakening unique curiosities. Though she clings to her increasingly reticent father, Francisca's loneliness and scarred nature converge years later when her longing to connect with the world around her takes on a dark form. Shot in crisp black and white, the haunting visual compositions evoke its protagonist's isolation and illuminate her deeply unbalanced worldview. Genre-inflected, but so strikingly unique as to defy categorization, writer/director Nicolas Pesce's feature debut allows only an elliptical presence in Francisca's world, guiding our imaginations to follow her into peculiar, secret places.